Think of the three most successful accomplishments of your company, or at least of a profitable year you will long remember. Behind each and every of these stories, there is a bunch of hard-working people who joined ideas to make something happen, instead of an individual given credit for it, as media often likes to put it. This is why it is desirable for any business to enable the right collaboration circumstances, be that for firsthand communication with clients or backend operations. And while it is up to the manager to decide how many people will take over a task, it is also him that must ensure they have the right tools to stay on the same page. When it comes to accounting management, desirable becomes imperative, as processing the same financial data in various ways cannot depend on a single person. As the manager, you must ensure full visibility and access for all members involved, and find a solution that will automate updates and minimize human-caused errors. In such way, each employee will be able to pull out conclusions, distribute and analyze sources and results, and most importantly – react independently. Unfortunately, laying hands on a ‘do-it-all’ system is still quite a challenge, as accounting apps lean heavily on technical matters, and will only rarely be suitable for a team. Or so at least until you’ve met FreshBooks! 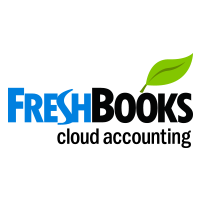 FreshBooks is a system designed for efficiency and usability, and thus understandable regardless of your accounting experience. Its core functionality is packed in three leading modules (Invoicing, Expense management, and Time Tracking), and enriched with out-of-the-box capabilities alike direct payments and financial analytics. Following all recent trends, FreshBooks made the effort of aligning with ‘take-with-you’ applications, and is now available for both Android and iOS users. And once you think there is nothing left to surprise you – FreshBooks brings up one of the friendliest pricing schemes ever offered in this niche! If you’d like to learn more about FreshBooks recent interface upgrade you can find more details in our other article. One of users’ favorite FreshBooks features is time tracking, which they believe to be tightly connected with the hours they save on aligning accounting with other operations. The feature helps identify how each team member is spending his working hours, and hence pinpoint areas that consume the most time, and need improvement. Not even to mention that tracked hours are essential to pull off accurate invoices. Time tracking will also be of great use to project outcome and make important decisions, as it reveals the average time needed to complete a task, and exposes individuals who are most competent to govern it. In such way, FreshBooks also supports specialization, making it possible to deliver projects in time without overtimes and multitasking. With a small team, online collaboration may not be the first goal on your agenda, but as so many teams around are shifting to remote service, it is better to have an asset like this by your side. Collaboration is, in fact, a powerful tool that helps meet trends, and that’s why FreshBooks keeps it closely in the loop. With FreshBooks, you will be able to invite team members, clients, and contractors on a joint platform, and look for ideas together. Everyone will be able to monitor results, and work will become more productive. The app will also let you share important files in and out of the team, pull summaries, attach documents, and let everyone know what must be done without sending long email threads. What is even better is that FreshBooks supports live conversations, and eliminates the needs for employees to use third-party software and get distracted while working on a task. This accelerates feedback, and helps achieve your milestones much faster than before. At the same time, you can use FreshBooks’ schedule to set and modify deadlines, so that everyone on board has the idea of when a project must be completed. Another collaboration feature you will certainly like is the Project Screen Overview, as it delivers a quick snap on how everyone is progressing, and whether there are problems that require your attention. The overview is also accessible from the mobile apps. Committed to transparency and visibility, FreshBooks comes equipped with a powerful reporting suite, and uses it to inform everyone in the team how work is progressing. If wondering what this can do to contribute to your current operations, think of all weekly and monthly meetings you’d skip giving everyone a chance to ‘digest’ information on his own. Another important benefit of having progress data at a glance is giving employees the chance to understand the effects of their contribution. With milestones being met on time and projects delivered as agreed, employees feel more useful, and strive to retain/improve their effectiveness. Consequently, they feel braver to set up goals and projections, and relate their particular achievements to the company’s mission. This would equal, hypothetically, being able to meet each and every of them and praise their work in person. Of course, reporting has an array of other irreplaceable benefits, with saving on expensive BI systems being the leading one. FreshBooks makes it possible to estimate profitability at a glance, and determine what it was that made a project succeed or fail. With FreshBooks, it is the manager who gets to decide who is able to see what, and who puts in charge the people responsible for particular tasks. To do so, he should adjust a suite of roles and permissions for each of the team members, and modify those upon need.